THE Commission on Election (Comelec) called on registered voters to update their status for the upcoming Barangay and Sangguniang Kabataan (SK) elections. 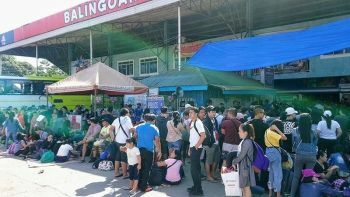 Baguio City Election Officer lawyer John Paul Martin reiterated due to the volume of precincts in the city, there are possibilities that the clustering of voters may change from the last election. “There are designated precincts where precinct numbers are labeled to inform the voters on where they should vote following the list of voters posted, but for the convenience of all the registered voters in the city, we encourage them to visit our office for them to record the precinct and sequence number of their names,” Martin explained. Comelec Baguio expects around 2000 possible candidates to run for various positions in the Barangay and SK level to file their Certificate of Candidacy which is schedule from April 14 to 20, 2018. “We are now anticipating all possible issues that may come up in relation to the May elections. We are now following up the forms to be used from our main office to be shipped at our office he in Baguio and the Treasurer’s Office, so we are now on the go and all activities are now on green light. We are also reminding those planning to run for them not to wait for the April 20 deadline in filing their COC's,” Martin stated. The poll body is now preparing security related measures to be led by the commission as the lead agency in coordination with the Police Regional Office and the Armed Forces of the Philippines as security implementers. “This week, we are set to meet with our partners from the PNP and the AFP to finalize our protocol regarding the implementation of the gun ban provision and the establishment of checkpoints,” added Martin. The implementation of the gun ban provision and the establishment of checkpoints starts on April 14 to May 21, 2018. PRO-Cordillera Director Police Chief Superintendent Edward Carranza instructed the region's operations officer to coordinate with Comelec regarding PRO-Cordillera and AFP's involvement with the regional joint security coordination center chaired by the commission, which is set to meet at the Comelec Regional office next week.